Video, Audio, CD and DVD Duplication. Our turnaround time may be based on the size of your order, but we pride ourselves on meeting your specified deadline. Rush jobs can be started 24 hours a day, and be available at any hour (and/or delivered quickly anywhere in the world via our shipping department). Our pricing is very competitive! Call, fax or email for a price quote on large or small quantities, from one to thousands. Videoland Productions is one of the largest duplication companies in the Pacific Northwest. Hundreds of thousands of video and audio dubs have been produced at our facility over the past 35 years, featuring a stringent system of quality control. Using Panasonic, Sony and other Industrial and broadcast equipment, professional quality dubs are produced around the clock. 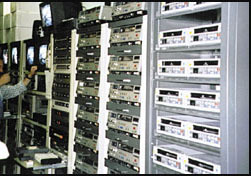 YC and component connections maintained between VCRs allow for no-loss broadcast quality dubs across a variety of formats. Whatever your source, your project can be professionally mastered and duplicated, customized exactly to your needs. We stock thousands of blank video cassettes from 5 to 180 minutes in length, including all consumer to most broadcast formats. Color-shell cassettes are also available in the VHS format. Our graphics department can produce professional labels and covers in black & white or full color (on site), and full color process printing is also available - including insert sheets or custom direct to box printing. From plain sleeves to multi-cassette presentation packages, endless options are available to match your exact needs and concepts. We provide logo and artwork transfer to labels, boxes, or inserts, as well as original custom design upon request. Images can be captured from video, sourced from computer image formats and other media (like CD, syquest, Zip and Jazz drives) or scanned from your photos or artwork. 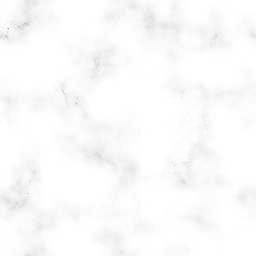 The labels can include a wide variety of text and information in an endless amount of designs. From one to thousands, we can provide the inventory you need in a timely fashion. Digital DV, DVCAM, DVC Pro, Betacam SP, MII, S-VHS, 8mm, HI8, 3/4 inch, Betamax and VHS masters to all formats, including but not limited to DVD, CD, Video-CD, VHS, SVHS, MPEG, VHS PAL, 8MM PAL, HI-8 PAL, Secam, and custom YC / component dubbing between formats. Audio cassette, microcassette, DAT, reel to reel (all speeds), 8-track cartridge, phonograph records (all speeds), and video sources, to audio cassette or CD. All audio/video sources to Compact Disc Digital Audio, CD-ROM and Video CD. Custom Compact Disc and DVD covers and labeling. 8mm, Super 8, 16mm film, 35mm slides, photos, negatives, artwork, sales products, to any tape or disc format. Foreign PAL/SECAM to NTSC Conversions and NTSC to PAL/SECAM or any other world format conversions. Custom archiving of any audio video format. All formats tape repair and archiving, back-up masters. Packaging and Shipping of your completed audio/video product anywhere in the world via UPS, Fed Ex and U.S. Postal Service. Custom laser printed labels in B&W or full color with your logo or artwork. In-house graphics concept & design for boxes, inserts, and packaging. Custom photo and image retouch and logo designs.